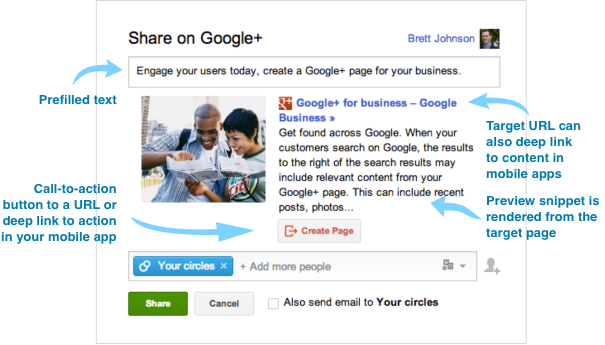 Are you using Google+ to bring in leads and develop stronger conversions? Trying to get the best out of social media can often be difficult. Yet with Google+ interactive posts you can increase conversions by making it easier for the reader to interact with your post. 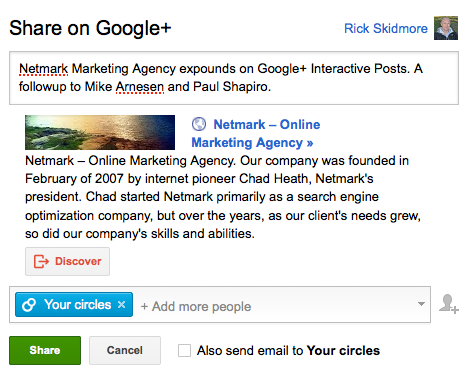 For a few months now, Google has enabled Google+ Interactive options in your posts. 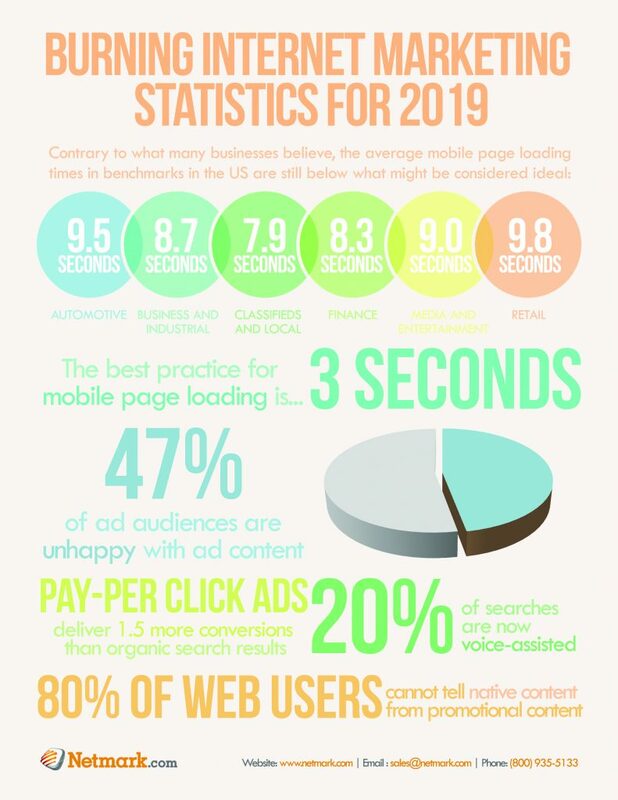 This option will allow you to create a call to action right in the post. 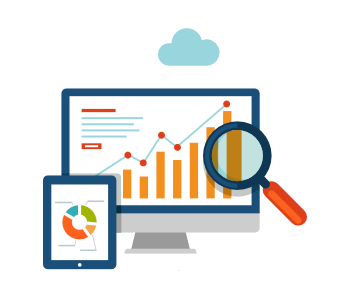 These CTA’s are automatically generated from Google, but they give you a great selection. 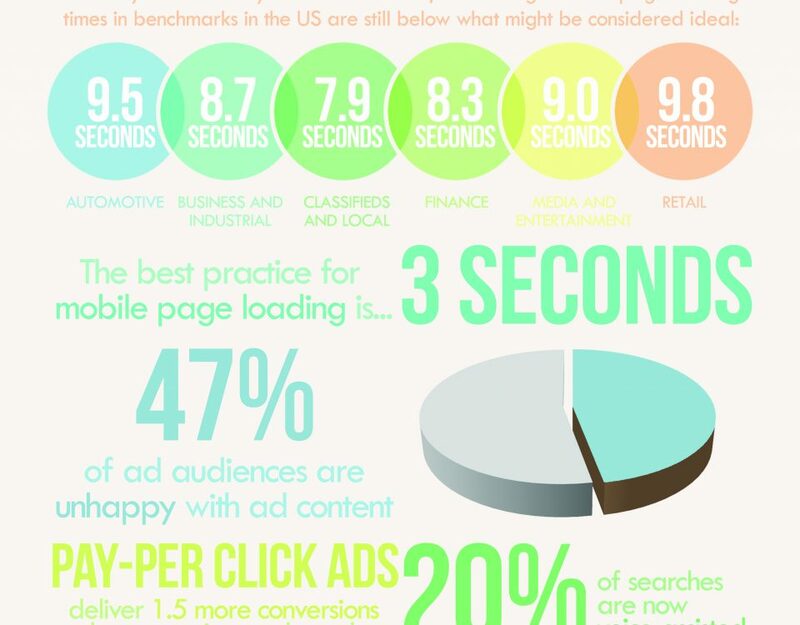 By using the CTA’s you will enable users to simply click and convert. 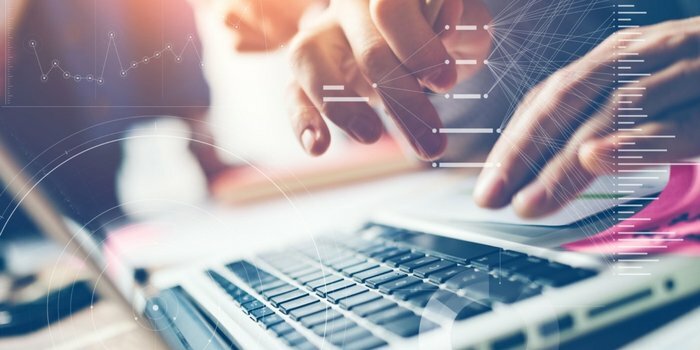 Just after Google launched interactive posts, Mike Arnesen kicked out a great web tool to allow users and their team to start posting, (Medium Tech Difficulty). Step 2: Go to settings (left nav), click on “Google+ Interactive Posts Creator.” It will ask to enter your API, (Don’t freak) Right click to open a new window on the API url provided. 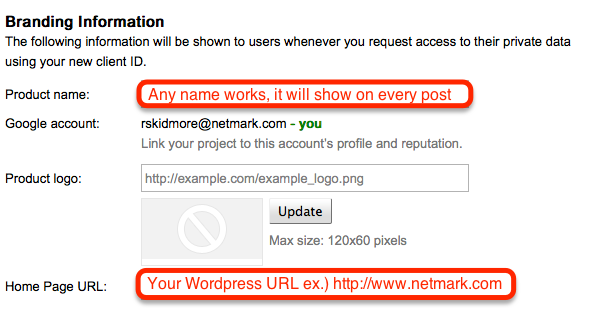 Step 4: Enter in your Product Name, this will be seen on the Google+ post, add logo, and your URL. Step 5: Make sure you have selected the “Web Application” radio button, then change the https:// to http:// if your site uses just the http:// and plug in the URL of your site. Step 6: Now the client is complete. 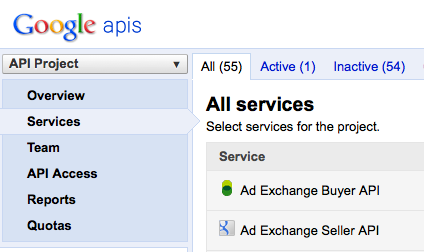 Copy the first part of the “Client ID” to the .apps section for the plugin. Step 1: Jump back over to your WordPress page where we left off and plug in your numeric value. Step 2: Go to the post or pages page to select on submitting the post. 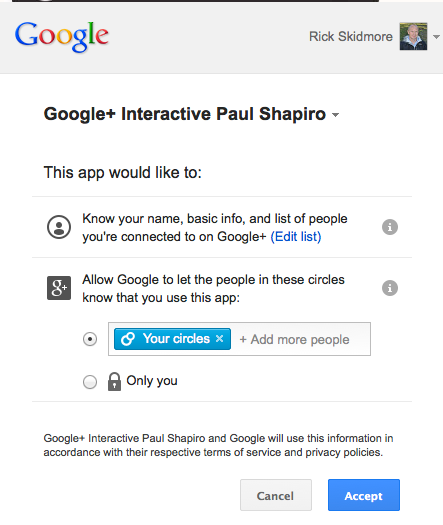 Step 3: Fill out the Google+ Interactive Tool. Enter your post, select your Call To Action button text, and enter in the URL that you want the CTA to lead to. 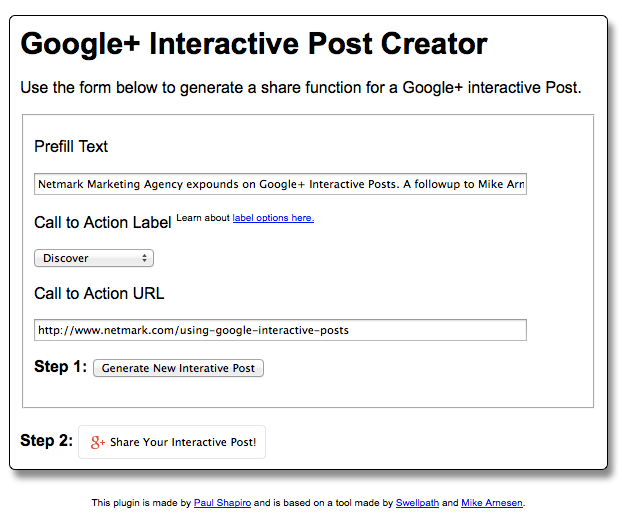 Generate the Interactive post and hit G+ Share. Step 4: As it pulls up what your post will look like, you can add more circles or edit it if needed to. Step 5: Allow the access for the plugin and post. Your new post could take a little while before it is seen so check back in a little. There you have it. 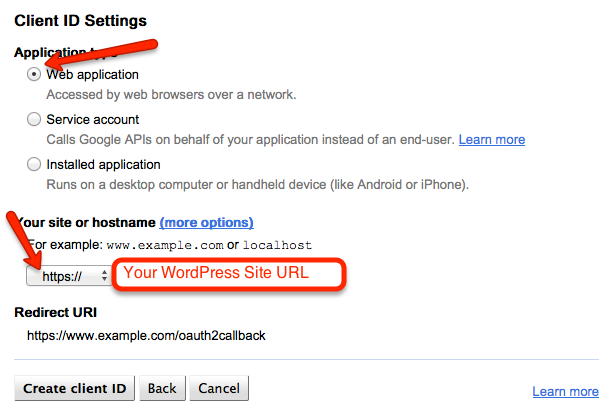 Now you can post Google+ interactive call to actions right from your WordPress post or pages login. I think you must be an admin in order to use this tool but more information will be coming out soon. Check back with Mike or Paul’s blogs for further information and Q&A’s. Enjoy!